Starting June 29th, Virgin Mobile will offer an iPhone prepaid plan for as little as $30 a month after a $5 discount if you're willing to set up automatic payments with your credit card. It's such a good deal, that it makes no sense to go with anything other than prepaid for your next iPhone. Virgin is offering three plan options, which both come with unlimited data and text messages. For $30 after discount you'll get 300 minutes for talk time. For $40 you'll get 1200 minutes, and for $50, you'll have unlimited minutes to talk to your heart's content. For an additional $15 a month, you'll be able to tether your iPhone to you computer and use it as a hotspot. 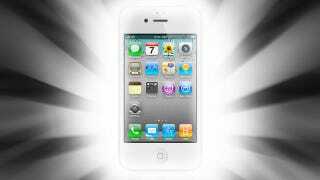 Even though you don't get contract pricing on the phone itself—Virgin will be selling the 16GB iPhone 4S for $650 and the 8GB iPhone 4 for $550—it's still an incredible deal that can save you buckets of cash: At least $500 over two years if you're using Sprint, AT&T, or Verizon. Check out this handy chart produced by Cult of Mac. If you sign up for Virgin's $40 per month plan you'll pay only $1610 for two years compared to $2400 (AT&T and Verizon) and $2120 (Sprint).